The venue that you choose for your ceremony is one of the most important decisions you will make while planning for your wedding. While many are keen on holding their weddings at beaches, gardens, and churches, there are some who prefer somewhere closer to home… literally. A house wedding entails something infinitely more intimate and sentimental, but that doesn’t mean it cannot also be the magical, fairytale wedding you dreamed of growing up. If you are considering a home wedding, you’ll first have to decide between two options. In reality, either choice is great. For instance, backyard weddings are great for couples that want a garden party or a farmhouse affair. 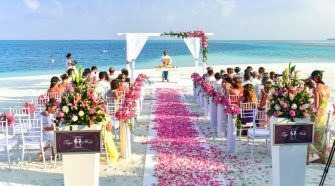 Top Wedding Questions also suggested other benefits, such as additional savings and the fact that you have the freedom to choose any date you wish. 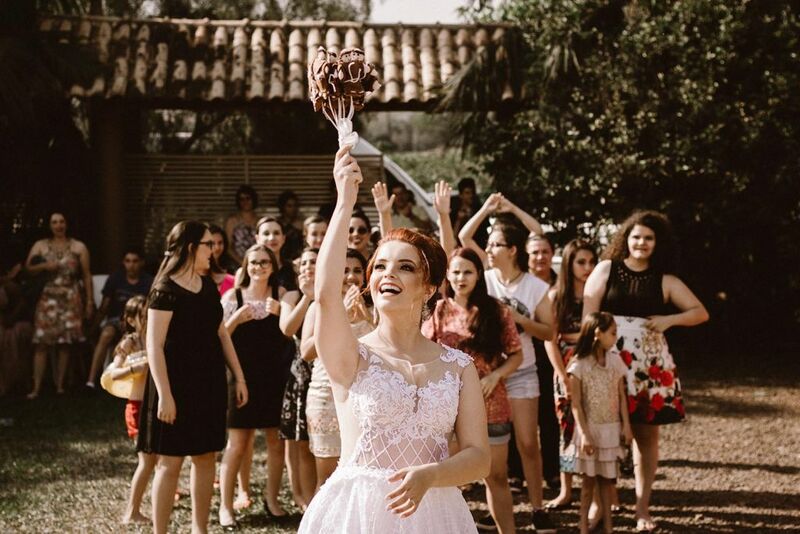 Weddings held inside a house also share similar advantages. With this other choice, you won’t have to worry about the weather ruining your big day. The decision ultimately depends on you and your partner’s preferences. However, it’s worth pointing out that a house wedding also has its caveats. First of all, just how big is the house in question? If you live in the suburbs, maybe it’s quite easy to find a rental house that is spacious enough to accommodate 20 to 50 guests. But the same cannot be said for many of those living in the heart of the city. For instance, only a small percentage of homes in the New York City area are single-family homes. Instead, Yoreevo discusses the prevalence of condos and co-ops in the metropolis geared toward professionals working in the city. Ironically, these smaller living spaces can be even more expensive to rent than houses you find in the countryside and don’t tend to have as much square footage or even a backyard. In contrast, rental homes in wealthy urban areas like Boston and Houston are known for being some of the largest in the country. Although square footage will play a vital role in planning your home wedding, it is still possible to host a ceremony in any house with the right planning and preparation. Just make sure you follow these tips, which you can also consider for house or backyard weddings. 1. Plan a realistic guest list. While you may be tempted to invite everyone you know, you have to consider the size of the house or the apartment. Even if you remove all the furniture in the house, the property may not be large enough to hold a certain number of guests. 2. Decide which spaces can be used for multiple purposes. As an example, Jennifer Plotnick and Kent Rogowski made their apartment wedding work by assigning the catering crew to the bedroom and placing cans of dessert pudding in the bathtub. Little tricks like these can go a long way into making sure there is enough space for you and your guests to move around. 3. You’ll need to keep the neighbors in mind. It’s common courtesy to let them know about the event beforehand. Perhaps you can also include them in your guest list, or at the very least, give them a few souvenirs from the wedding as gifts. 4. Consider renting a generator. Many homes aren’t capable of accommodating the amount of power necessary for additional lights or a kitchen full of caterers. If you don’t use a power generator, you might risk experiencing a power outage, and that would be an absolute nightmare, wouldn’t it? 5. Create enough sitting areas. Since the wedding will be hosted at home, you may need to rent tables and chairs. For those on a tighter budget, the Rustic Wedding Chic suggests being creative about the seating plan by using hay bales as a lounge area or including your sofas in the seating arrangement. Perhaps the stairs could be used, or the lawn and pool chairs. This way, you lessen the number of chairs you need to rent out. With house weddings, you will not only achieve an intimate gathering, but you also get to save on many other aspects that make up the wedding planning process. Just have faith in your ingenuity and/or the talents of your wedding coordinator, and you’re sure to enjoy a unique ceremony to remember.